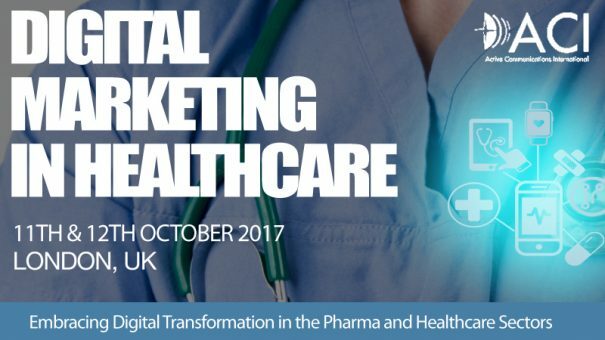 ACI’s Digital Marketing in Healthcare 2017 shall be taking place in London, UK on the 11th &12th October and will look at the opportunities and challenges faced by Pharmaceutical & Healthcare organisations looking to respond to competition, the changing needs of their customers and the best approaches for creating value and ROI in an evolving market. Conference Presentation: How to build a digital strategy answering the specific needs of the healthcare environment? Created with an expert scientific advisory board, ACI’s 2nd DigitalMarketing in Healthcare Conference will hone in on the latest innovations and novel approaches to digital marketing and developing operational excellence strategies as well as look at the practicalities of using pharmaceutical marketing strategies. Aimed at an audience of senior pharma/healthcare marketing executives the conference will keep attendees at the forefront of medical breakthroughs to adapt to the growing need towards preparing for digital drug launches & the role of artificial intelligence and real-time health systems. Presentations from a selection of hand-picked pharmaceutical companies currently developing digital marketing strategies, will provide delegates with an understanding on key topics such as Connected Health @ the Speed of Life; Healthcare Marketing in the Millennial Age; Bringing Multichannel Together for a Successful Digital Strategy; and many more. If you have any questions or would like to register taking advantage of the media partner rate, please contact Adam Kowalewski at adam@acieu.net or +48 (0)616 46 7047.